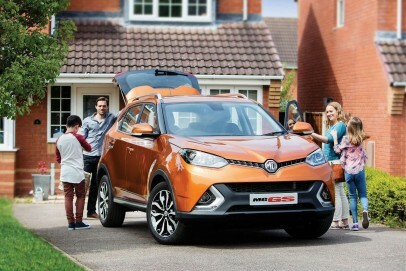 Crossovers now come in all shapes and sizes but if you want one capable of taking the family - something Qashqai-sized - then typically, you're looking at having to find around £20,000 to get it new. If any brand could substantially reduce the asking fee necessary to get one of these kinds of cars in your driveway, they'd have a strong proposition to offer. Well MG has done just that with this GS model, arguably its most credible car yet. 2019 Car Leasing Contracts is a trading style of VIP Gateway Limited. VIP Gateway limited is authorised and regulated by the Financial Conduct Authority 619198. We are a broker not a lender and our registered office is 32/33 Longwood Road, Trafford, Manchester, M17 1PZ. Our contract number is 0161 641 4111. All vehicle images and car descriptions on this site are for illustration and reference purposes only and are not necessarily an accurate representation of the vehicle on offer. * All vehicle images and car descriptions on this site are for illustration and reference purposes only and are not necessarily an accurate representation of the vehicle on offer. All prices correct at time of publication.